If you have time to fit them in around all the usual apres-ski parties, DJ nights, snow sports competitions, live music and world-class ski races Chamonix also has the following events that take place every winter - there's no rest for the wicked! Opening weekend: Usually scheduled for the 1st or 2nd weekend in December, depending on snow. Pistes open, lifts whir back into action and the town comes to life with opening parties and the 1st apres-ski sessions of winter. Christmas & New Year: A magical time to be in the Alps, Chamonix is especially pretty at this time of year with lights and decorations glinting off the snow. Take the little red train up to Santa’s grotto on the glacier and join in with Christmas carols in the main square. Don’t count on skiing much on the 1st January, as New Year’s Eve in Chamonix goes on all night long! 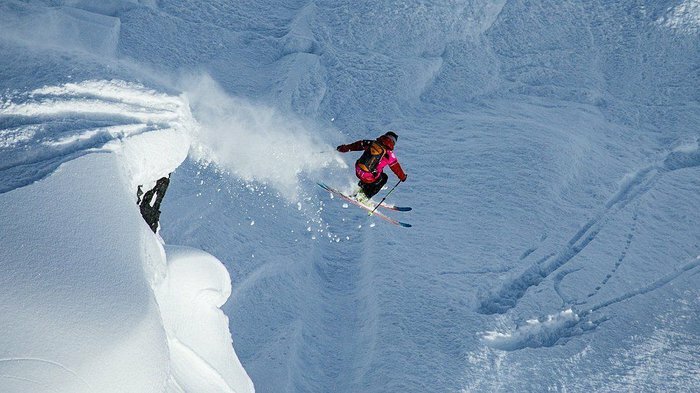 Freeride World Tour: An opportunity to see world-class skiers and snowboarders ride some incredible lines in the Chamonix mountains, usually held mid to late February. The Freeride World Tour not only brings the best riders to town, but also some of the best after-parties. Chamonix Adventure Festival: A film festival with the emphasis firmly on the mountains! This 4 day event brings together an incredible and eclectic bunch of adventurers, explorers, extreme athletes and talented filmmakers to showcase their best skills in a series of screenings and exhibitions. You can get involved by signing up to one of the inspiring film or photography workshops that run alongside the festival. The Chamonix Adventure Film Festival usually takes place over a long weekend in March. Musilac Mont Blanc: Launched in 2018 this rock and pop music festival for 15,000 is the baby sister of Musilac Aix-les-Bain. The event takes place over 3 evenings so you can ski and snowboard during the day and dance from 4pm onwards. Headline acts in 2018 included Texas, Ben Harper, Rag N Bone Man, Beth Ditto and Shaka Ponk. For more information including the 2019 line up, visit their website for the latest updates. Closing Weekend: By early May the snow may have seen better days but the sun is out and Chamonix is ready to say goodbye to winter in style! Get up early if you want one last day on the slopes, as by midday it will be soft and slushy. By that time the BBQ will be smoking, the drinks will be flowing and the tunes will be banging! If you’re feeling particularly brave you can have a go at the water slide, if you end up wet (you will) you can just change into your fancy dress costume (you did bring one, right?). Usually held on the first Saturday in May at Les Grands Montets, finishing off with apres-ski in Argentiere. If you think that Chamonix goes to sleep during the summer then you couldn't be more wrong. These hills are most definitely alive with the sound of music! 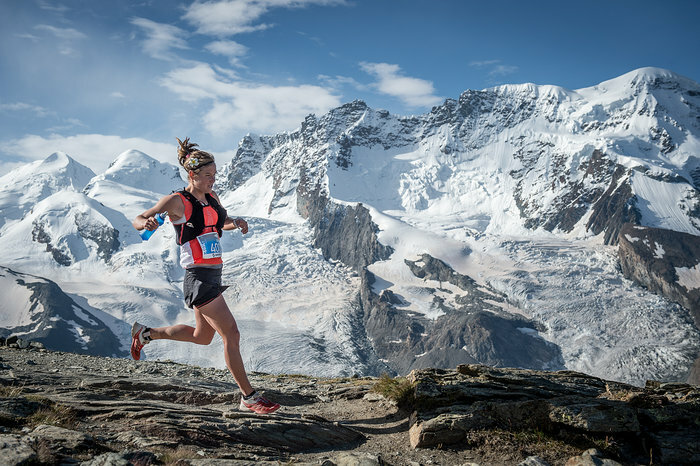 Marathon du Mont Blanc: Trail running has been one of the fastest growing sports of the last few years and the Chamonix marathon is no exception; fully subscribed every year with more and more people wanting to take part it is one of the highlights of the summer. The atmosphere is incredible and supporters are as much a part of the race as the runners. There are a number of events to take part in besides the full marathon; you can also sign up for a half marathon, 10km, the vertical KM, or the 80km - there’s even a mini-marathon for the kids! Held at the end of June. Fete de la Musique: Another national celebration, this one in honour of midsummer on the 21st June. Live music is played pretty much anywhere and everywhere, with stages being set up in the streets and bars being given free reign to stay open as late as they like. Everywhere in Chamonix gets involved but the party always ends up on Rue des Moulins, a tiny little back street lined with bars that turns into a carnival until the sun comes up. World Climbing Championships: Held mid-July, just before Bastille Day, an enormous climbing wall is erected in the centre of Chamonix. Crowds gather on each of the two days to watch elite climbers from across the world go head-to-head in technical and speed climbing races. Gravity-defying displays of strength make the Coupe du Monde d'Escalade an incredible event to watch, the highlight is the final on the eve of Bastille Day when the celebrations join forces and become a big street party with beer tents, music and fireworks. Bastille Day: Celebrated across France on 14th July, this historic date is celebrated twice in Chamonix! Once on the night before to coincide with the World Climbing Championships and again on the day itself. The programme during the day changes each year but the night usually ends with a beautiful firework display at the Lac des Chavants in Les Houches. Cosmojazz: What started out as a few musos gathering to share the good times has now turned into a week-long jazz festival featuring dozens of talented artists from across the world. Many of the concerts are free, some you have to pay for. The venues are anything but conventional; we’ve had pianists dangling from cranes over the town square, cellists playing in ski lifts, orchestras at the top of mountains… You just have to come and see Cosmojazz for yourself! Fete des Guides: Every year Chamonix takes time on 15th August to honour and celebrate our wonderful mountain guides who make so many of our adventures possible. An official ceremony in the town square to welcome new guides and remember lost ones is followed by various entertainments throughout the day. The highlight is the party that takes place at Les Gaillands lake, starting early with face painting and games for children and then carrying on into the night with live music, beer tents, food stalls and a big firework display. Entry is 15€ and all proceeds go towards a benevolent fund for injured guides or the families of deceased guides. Ultra Trail du Mont Blanc (UTMB): Some consider this to be the biggest event of the year, it certainly brings more people to Chamonix than anything else with over 7000 runners signing up to take part in one of the 5 races. The main race, the UTMB, covers almost 170km with around 10,000m of positive altitude gain and passes through 3 countries! Starting and ending in Chamonix, it circumnavigates the base of Mont Blanc via Italy and Switzerland, usually taking between 22 and 44 hours to complete. Believe it or not there are plenty of crazy people in this world and many of them wish to put themselves through this. The rest of us are happy to cheer them on and enjoy the incredible atmosphere that the UTMB always generates. No matter what time of year you come to Chamonix, there’s always something going on. From world-class sporting events to music festivals, everyone gets involved and joins in the fun.